As the MCU (Marvel Cinematic Universe) continues to expand and grow; reaching mass popularity with the cinematic version of its superhero properties in lucrative blockbuster features, the DCEU (DC Extended Universe) has had a rocky road in trying to catch up with it rival comic book movie juggernaut. In 2013, while the MCU entered its Phase II saga with Iron Man 3 (the seventh entry within its shared universe), DC (under Warner Bros. Pictures) began its cinematic universe with Man of Steel; a rebooted Superman origin story that showed off blockbuster aesthetics can could be achieved within this DC superhero world. However, despite the film making money at the box office, Man of Steel was met with some mixed reviews from critics and moviegoers. In 2016, while Marvel released their thirteenth and fourteenth MCU features (Captain America: Civil War and Doctor Strange), DC Comic’s released two more movies underneath their DCEU banner, with Batman v Superman: Dawn of Justice and Suicide Squad. However, while both movies were hyped and had much pre-release fanfare projections and did produce a hefty amount at the box office, with Batman v Superman: Dawn of Justice and Suicide Squad were faced with mixed reviews (ranging from mediocre to negative criticism from moviegoers and critics). Given their film track record (at that point in time), it would seem that the DCEU would never get a highly praise film under its belt, with Marvel’s MCU further lengthen the distance between them. 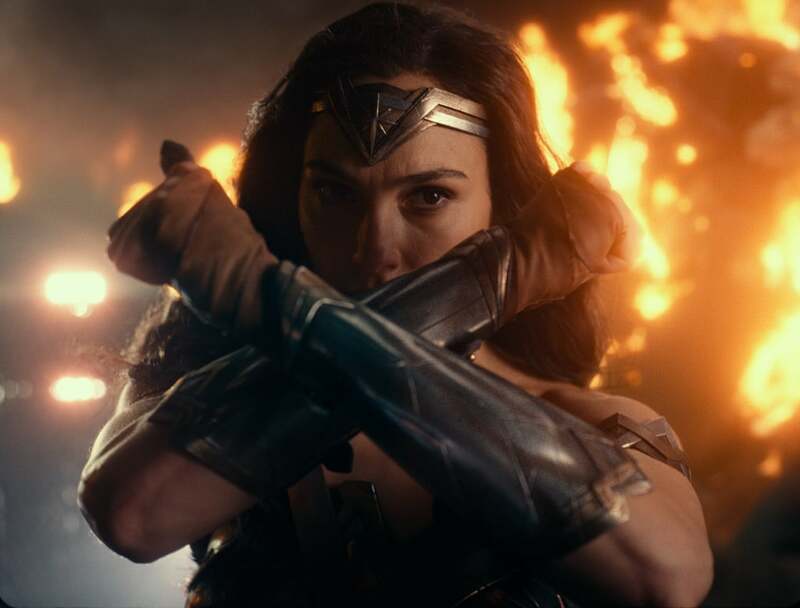 Fortunately, success was award to the DCEU with the 2017 arrival of Wonder Woman, which garnished a huge praise from fans, casual moviegoers, and critics alike as well as grossing roughly $820 million at the box office. Now the time for the DC superheroes to unite on the big screen as Warner Bros. and director Zack Snyder (as well as co-director Joss Whedon) present the highly anticipated comic book team-up blockbuster film Justice League. With fan expectations and the inherit hype building, does the DCEU finds its groove with this all-star superhero feature or does it fall flat and get lost within its own blockbuster narrative? The world is still in mourning over the death of Superman (Henry Cavill), who had become a symbol for hope for many, with the likes of fellow superheroes Bruce Wayne / Batman (Ben Affleck) and Diana Prince / Wonder Woman (Gal Gadot) continuing their crime-fighting efforts in the wake of the Man of Steel’s absences. Unfortunately, the sudden disappearance of the Kryptonian visitor on Earth has been noticed by the likes of Steppenwolf (Ciaran Hinds), an ancient extraterrestrial being who has returned to our planet to recover the “Mother Boxes”, three items of immense power that were safely secured thousands of years by the three major races of Earth (i.e. the Amazonians, the Atlanteans, and mankind). Realizing the sizeable threat that Steppenwolf and his army of vicious winged monsters Parademons pose to the world, Batman and Wonder Woman set out to put together a team that consist of three other metahumans that they know of, including the half-human / half-Atlantean Arthur Curry known as Aquaman (Jason Momoa), the speedster Barry Allen known as The Flash (Ezra Miller), and Victor Stone (Ray Fisher), a cyborg who was created and gifted with incredible powers by one of the Mother Boxes. As the team gathers and as powerful as these heroes are, it eventually becomes clear to Batman that their combined efforts may or may not be enough to prevent Steppenwolf from carrying out his terrible endgame plan. As I’ve stated many, many times before in previous superhero movie reviews, I’m more of a Marvel fan than a DC Comics fan. So, as to be expected, my fanboy interest for the MCU feature films definitely outweighs the films within the DCEU. However, that’s not to say that would completely bash the DCEU (like many have), but I cannot deny the facts their movies have several major problems that do hurt the film from being exalted as cinematic superhero greatness. Personally, I actually like Man of Steel, setting up a very intricate backstory / origin film for this new iteration of Superman as well as establishing the first entry within this cinematic world. However, Batman v Superman: Dawn of Justice was way too busy (i.e. trying to be a sequel to Man of Steel, an origin story for Affleck’s Batman, and setting up further DC superheroes within this shared universe) and Suicide Squad, while having a fun / unique premise and a recognizable cast, had a thin plot and undeveloped bad guy that ultimately didn’t leave up to the film’s overall hype. However, Wonder Woman arrived on the scene and blew many away, including myself, as it was great superhero origin story and a shining beacon of hope for the DCEU. This comes back around to my current review for Justice League, the fifth installment in the DCEU. There’s no denying the fact that this movie would be a critical turning point for this shared cinematic universe as Justice League would show off the united team of DC Superheroes in their first feature film. While I wasn’t really taking in by the film’s marketing campaign (except for one or two trailers), I was definitely curiously intrigued to see how this movie would ultimately shape up to be. Would the success (and overall magic) of Wonder Woman rub off on Justice League? Would the first DC Superhero team up film prove to be better than Marvel’s The Avengers? This was something I was keen of seeing and was eagerly interested in seeing accomplished within this franchise. So, what did I think of the movie? Well, to me, the movie was a mixed bag of sorts, finding Justice League to have the superhero comic book fun, but ultimately lacked layered depth and a strong narrative for this first team up adventure blockbuster. In short, Justice League is a messy and adequate superhero film and that’s not really a good thing for such a pivotal milestone movie for the DCEU. Justice League is directed by Zack Snyder, who previous directed previous DCEU films (Man of Steel and Batman v Superman: Dawn of Justice) as well as other movies like 300, Watchmen, and Legend of the Guardians: The Owls of Ga’Hoole. Additionally, director Joss Whedon, who previous directed such films as The Avengers and Avengers: Age of Ultron, shares the director chair with Snyder (as co-director) as Snyder had to step away from the project (towards the end) due to a personal tragedy. Thus, whether fans wanted it or not, Justice League was helmed by two directors; one from the DCEU universe and one who is familiar with the MCU (more on that below). 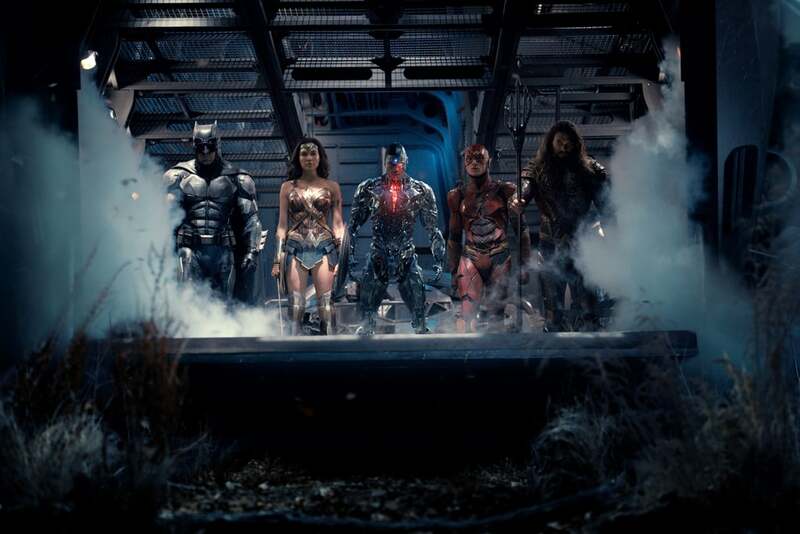 As one could imagine, the film’s main purpose is to take the DCEU to a new platform level by introducing new superhero characters and building the Justice League team for greater superhero team up installments. In that regard, the film succeeds, bringing the roster of DC characters to unite and form a team to battle against the likes of Steppenwolf. Additionally, much like what Batman v Superman did, Justice League continues the overall arching narrative that began in Man of Steel in making this movie world feel connected in this shared universe. Thus, expect a few name drops and revisited places here and there from past DCEU entries. 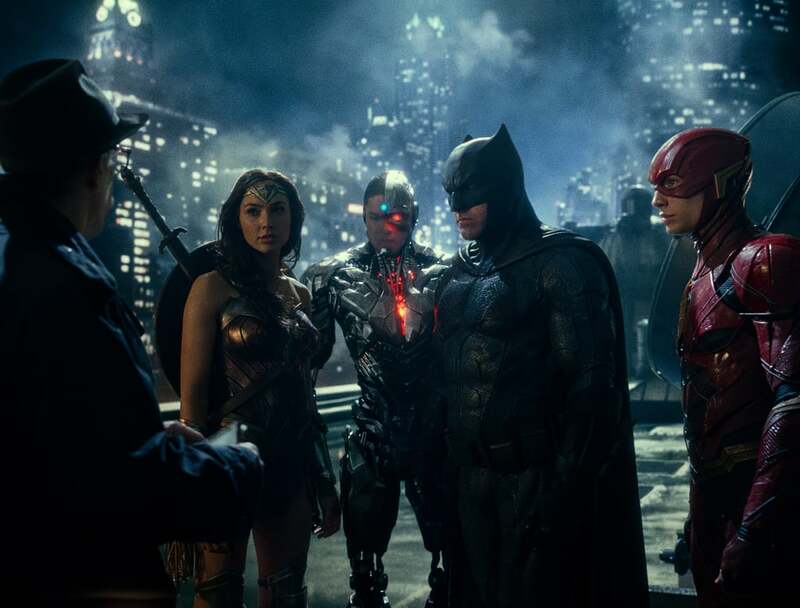 In a nutshell, the movie shines when its focusing on its team of Justice League heroes whether that’s scenes of dialogue or in the thick of battle. In short, whatever a viewer might think of the film, there’s no denying that Justice League takes the DCEU to a higher platform much like how Marvel did with 2012’s The Avengers within their MCU. So, if all else fails, just remember that there’s still some good and entertaining superhero comic book fun to be had in Justice League. In terms of filmmaking, Justice League does look like a bigger cinematic adventure for the main heroes to be play around in. Thus, cinematographer Fabian Wagner and Production Designer Patrick Tatopoulos must be mentioned for their efforts on this feature, which do help the movie’s aesthetics and nuances. Additionally, the movie’s score, which was composed by Danny Elfman, is pretty solid with some nice heroic flourishes and dramatic melodies throughout the feature. Unfortunately, this DC superhero team film isn’t all what it’s cracked up to be, finding Justice League to be riddle with several problems that I personally found to be problematic. For starters, as stated above, Snyder did step away from the feature, with Whedon stepping in to finish the project. This causes the movie to have a very much different tone than the other two Snyder DCEU films (Man of Steel and Batman v Superman: Dawn of Justice). Justice League definitely has Snyder’s overall look and feel of his past DCEU films, but the comedic styles and influence appeal of Whedon’s two MCU Avengers movies. While Whedon’s work on those two big superhero features worked within the context of Marvel’s movie world, it doesn’t quite translate well within the DCEU main story thread (i.e. Snyder’s two previous films). Even some diehard DC fans criticized Suicide Squad and Wonder Woman for being too much comical / taking cues from Marvel’s style. Thus, the end result in Justice League sees the ideas and filmmaking styles of the two directors at odds with each other at various points in the movie. Sometimes the movie wants to be serious and dark (Snyder’s direction), while other times it wants to be fun, comical, and more of a visual spectacle (Whedon’s direction). In short, Justice League comes off as having a bit of an identity crisis as the movie doesn’t really land fully in Snyder’s favor nor in Whedons’s direction. It’s just somewhere in the middle. Another problem I found with this movie was the fact that Justice League didn’t live up to the hype. Yes, the film has its big-screen superhero moments of seeing the DC characters come together, but the movie itself was that particularly great. Perhaps the reason for that is the fact that the movie’s narrative plot was a bit thin. While the introduction to Steppenwolf and his search for the Mother Boxes on Earth was the driving force to bring Batman, Wonder Woman, Flash, Aquaman, and Cyborg together, it’s not exactly the most compelling or layered plot to be conceived. To be honest, it had all the right narrative components to make it great (i.e. a McGuffin plot device, a powerful antagonist from another world, a reason for heroes to unite, etc. ), but the film’s overall execution and layout is where the movie falters, which causes the feature to be messy and underwhelming. Also, the movie is too busy in introducing its new characters (Flash, Aquaman, and Cyborg) that it sort of gets lost and takes away from the sizeable threat of Steppenwolf’s invasion, which is supposed to be main storyline in movie. This can also be said for the film’s second act, which involves a sub-plot about Superman. I won’t go into details about it, but, despite it being a poignant piece for the movie (and for the DCEU franchise), the movie goes off on a tangent for some time with this sub-plot that it distracts from the main threat at hand. One contributing fact to this is the film’s runtime, which is only two hours and one minute long and while that may seem fine to some, Justice League could’ve benefited by adding a good fifteen or twenty minutes to its final runtime; allowing time for both character moments and story narration. This result in Justice League being overstuffed and short in developing both its plot and several characters (more on that in the paragraphs below). Additionally, the overall climatic battle in the third act doesn’t have that grandeur / spectacle that I was expecting. There’s plenty of superhero thrills of seeing everyone use their abilities / powers, but it doesn’t build and feel exciting as I was hoping it to be. Every big superhero team up movie has that moment where the group unites (The Avengers, Guardians of the Galaxy, Suicide Squad) and it feels right and us (the viewers) get super pumped to see the “team” before going off for the big showdown battle. Unfortunately, Justice League doesn’t really offer that feeling. To be truthful, I was more excited about seeing a flashback sequences of Steppenwolf’s first invasion attempt to retrieve the Mother Boxes (i.e. seeing the three major races of Earth and others unite together) than the third act’s battle. I don’t know…. it’s kind of hard to describe what I was expecting to see as I just wasn’t that impressed as I was back in 2012’s The Avengers film. Lastly, as a whole, Justice League, despite its great efforts, is just an adequate superhero movie. What I mean is that the superhero film genre has evolved slightly. Some are more comedies, some fantasies, some are heist, some are lighthearted, some are more serious, and so on and so forth. Justice League just feels like a standard superhero film and lacks the special “it” quality that makes it stand out as the only thing I felt that stood out about the movie was the uniting of the DC superheroes. In short, there seldom any big “wow!” moments in Justice League, which is kind of disappointing. The cast in Justice League, in both primary and secondary roles, are collectively a bunch of talented well-known / recognizable actors and actresses from Hollywood, playing their parts to fill in this world of superheroes, villains, and regular humans. Leading the charge in the feature is the two most senior / experienced members of team, which is Bruce Wayne / Batman, who is played actor Ben Affleck, and Diana Prince / Wonder Woman, who is played by actress Gal Gadot. Affleck, known for his roles in Live by Night, Gone Girl, and The Town, returns as Gotham’s Cape Crusader (Batman) as well as the billionaire Bruce Wayne. In the movie, the character of Bruce Wayne is given a sort of “redemption” arc to follow, believing that he went too far in Batman v Superman and has to unite a team to defeat this new evil that plans on overtaking the Earth. To that effect, Affleck remains solid in the role, with his character being more human than his previous revenge-seeking persona in Dawn of Justice. Personally, despite what some people said, I like Affleck as Batman and I do hope that he continues to be the role of Bruce Wayne / Batman in future installments. Likewise, Gadot, known for her roles in several entries in the Fast & the Furious franchise as well as Keeping Up with the Joneses and Triple 9, returns as Diana Prince, acting as the team’s moral compass as well as in the DCEU (so far). She’s strong, brave, good-natured, gracefully, and still slightly vulnerable, which makes her character the most compelling to watch grown on-screen, which was one of the big positives in the Wonder Woman film. Plus, come on, Gadot is drop dead gorgeous and physically (as well as theatrically) embodies the character of Wonder Woman beautifully. Together, with both having previously played these roles before, Affleck and Gadot easily slide back into their respective roles, acting as the more “parental” figures heads of the Justice League team. Of course, one of the big highlights of the Justice League is seeing the likes of Flash, Aquaman, and Cyborg joining up to fight alongside the likes of Batman and Wonder Woman. 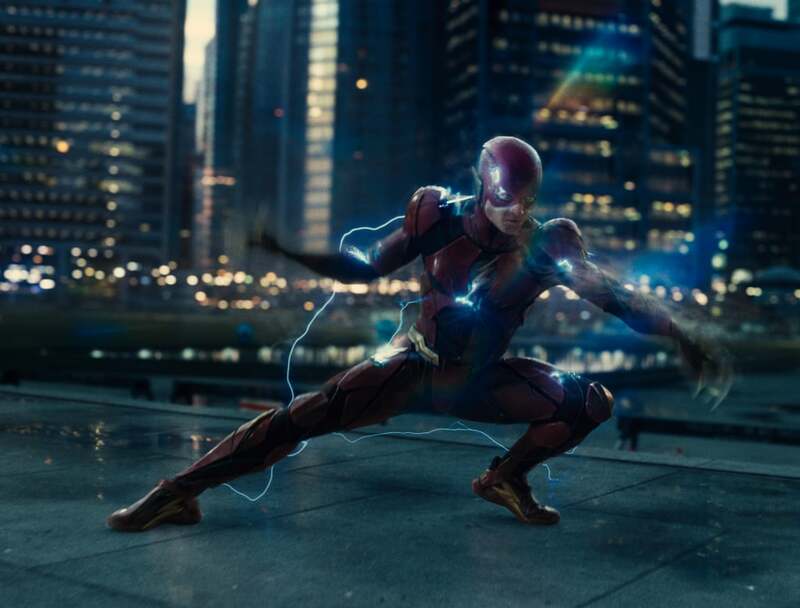 Of the three, the best has to be Barry Allan / Flash, who is played by actor Ezra Miller. Known for his roles in Trainwreck, Fantastic Beasts and Where to Find Them, and The Perks of Being a Wallflower, Miller is definitely the scene-stealer of the feature, using his neurotic fast-talking charm and bravado to the role as the youngest and less-experienced member of this newly formed team. Also, Miller also brings a lot of one-liner humor to the proceedings as well a lot of heart, which makes this version of Barry Allan / The Flash the most endearing of the bunch. I’m not going to say that he beats out Grant Austin’s performance of Barry Allan on the CW TV show The Flash as both (Miller and Austin) are good in their respected iteration of the character. However, Miller’s Barry Allan is one of the most memorable components in Justice League. 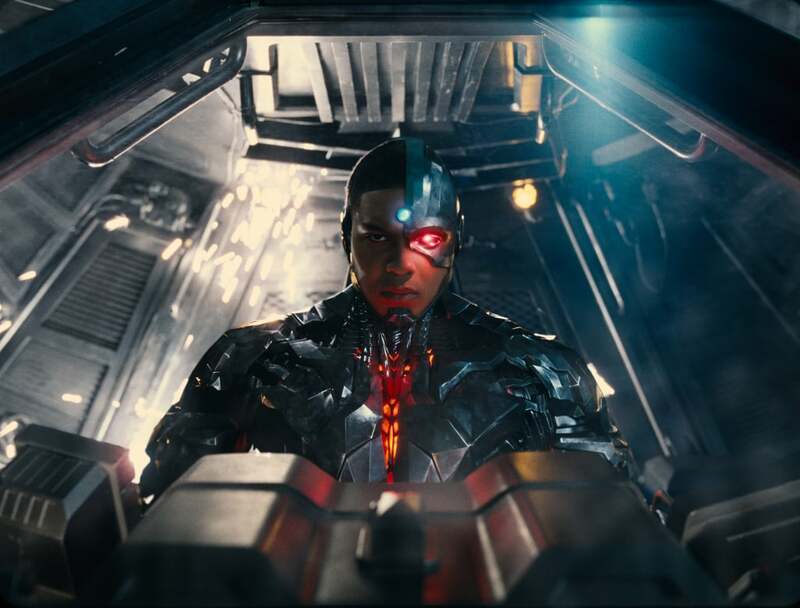 Following him is the half-human / half robotic character of Victor Stone / Cyborg, who is played by actor Ray Fisher. While his career resume is a bit low key (starring in the short The Good, The Bad, and the Confused as well as an episode in The Astronaut’s Wives Club), Fisher’s performance is solid as Victor Stone, proving to be the “brooding” individual of the group and the brains of the operation. To be truthful, the character of Stone is more vital to Justice League’s story than the rest of the team, which is kind of a nice surprise, leaving plenty of room for further exploring his origins, character, and cool alien tech abilities in future installments. The last new addition to the Justice League roster is to the character of Arthur Curry aka Aquaman, who is played by actor Jason Momoa. Known for his roles in TV shows HBO’s Game of Thrones and Stargate: Atlantis as well as the film Bad Batch, Momoa is entertaining as the more “bad boy” / rock star / loner of the team. While you definitely get a sense of how Momoa wants to be portray Curry and he does do a good job at it (especially since the character has been comically parody in recent years on various media platforms), Aquaman does get shortchanged in terms of screen time and in character development. Perhaps this is due to the fact that his solo movie is coming out next year (release date set for December 21st, 2018). Still, Momoa’s Aquaman gives enough introduction to the character and leaves viewers curious to know more about this Atlantean superhero. Together these five characters worked great together and their on-screen chemistry is one of the positives that Justice League has to offer, especially when their displaying the abilities / super powers in combat as a cohesive team. Thus, even if the movie has several glaring problems, the one thing that holds the feature altogether has to be these individual superheroes (and the respected actors / actress) that play them. This, of course, brings me to around to Superman being in Justice League. Usually, I try to stay away from having “spoilers” in my reviews, but I’m sure that most (if not all) knew that Henry Cavill’s Superman would appear in this movie in some shape or form. Suffice to say that while Cavill, known for his roles in Man of Steel, The Man from U.N.C.L.E., and The Immortals, does a solid job in reprising his role as Kryptonian Superman, the impact that it lives in Justice League is not as dramatically impactful as I was expecting it to be, especially after his more prevalent (and meatier) story arc in Batman v Superman: Dawn of Justice. Also, because I have to say this, the digital effects to remove Cavill’s grown mustache in the movie are pretty shoddy, which is strange coming from such a big-budgeted blockbuster like this. It’s really dicey in almost every scene and clearly done digitally, especially when certain scenes exchanged in close up shots (i.e. showing Cavill’s face and then showing any person’s face). Definitely becomes distracting. In more supporting roles, Justice League has a mixture of new faces and a few old ones for continuity purpose within this shared cinematic universe. The new addition, including actor J.K. Simmons (Whiplash and Patriots Day) as Gotham’s Commissioner James Gordon, actress Amber Heard (The Danish Girl and Magic Mike XXL) as the Queen of Atlantis Mera, actor Joe Morton (Scandals and Terminator 2) as the S.T.A.R. Labs scientist Dr. Silas Stone, and actor Billy Crudup (Watchmen and Alien: Covenant) as Barry Allan’s imprisoned father Dr. Henry Allan, aren’t that really fully explored in Justice League as they are more present to establish their character they’re supporting (i.e. Mera with Aquaman, Gordon with Batman, Henry Allan with Barry Allan, etc.). However, it’s almost a forgone conclusion that these characters will be fully explored in future DCEU movies. As for the familiar ones, including actress Amy Adams (Arrival and Nocturnal Animals) as Daily Planet reporter Lois Lane, Diane Lane (Unfaithful and Secretariat) as Superman’s adopted mother Martha Kent, actor Jeremy Irons (The Lion King and Die Hard with a Vengeance) as Bruce Wayne’s faithful butler Alfred Pennyworth, and actress Connie Nielsen (Gladiator and Basic) as the Amazon Queen Hippolyta, are welcomed back and like I said do help in given a sense of continuity / interlinking connection to the DCEU as a whole. Also, there are few recognizable actors (in very minor roles) that I did notice in the film. So, be on the lookout for them. Lastly, Justice League does have two Easter egg end credits scenes (one mid-credit and one at the very end), so be sure to see them. Without spoiling what’s shown, the first is short and humorous and the other one further sets up events within the DCEU. I’m kind of curious to see where it goes. 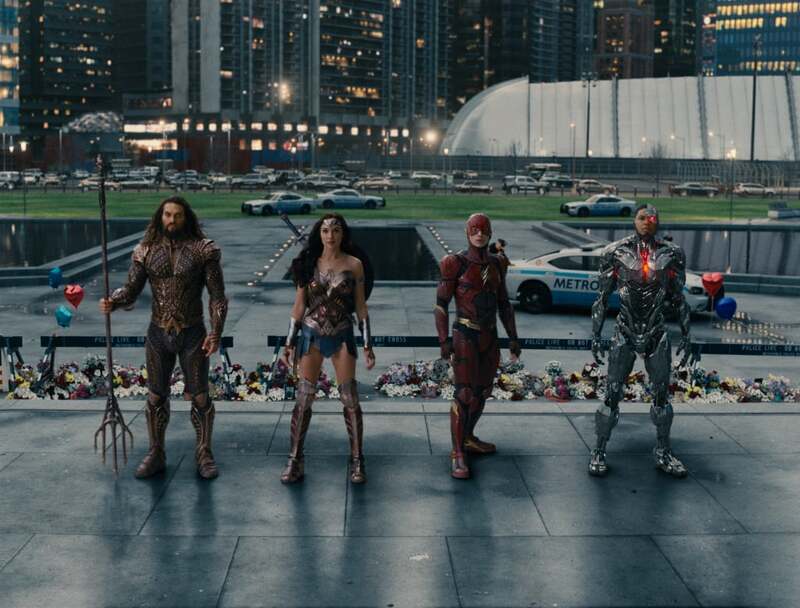 The DC superheroes (Batman, Wonder Woman, The Flash, Aquaman, and Cyborg) unite together to defend the planet from Steppenwolf’s invasion in the movie Justice League. Directed by Zack Snyder (and co-directed by Joss Whedon) presents the fifth installment in the DCEU by showcasing the superhero all-star power in the DC arsenal by bringing their heroes together in a big-screen adventure. However, while all the Justice League team members are great and share a great chemistry with each other, the film is riddled with problems, mostly consisting of a messy / thin plot, an overstuffed film, a weak bad guy, and an overall lack of superhero spectacle for the feature to stand on its own. Was Whedon’s involvement to blame for the problems in Justice League? Was Snyder version of the film better? In truth, both answers are unclear, but many have begun to speculate of those two questions. Personally, I just thought this movie was just okay. It was cool to see all these superheroes on-screen together (both actors and characters) as well as some other moments, but it didn’t live up to my expectations as I wasn’t blown away by it. In truth (and I know this might sound crazy), but I actually liked Batman v Superman: Dawn of Justice better than Justice League. I know…you’re probably shocked by that statement, but it’s the truth. However, I still think that Wonder Woman (at the time I’m writing this review) is still my personal favorite in the DCEU. Thus, I would have to say that Justice League is an “iffy-choice” as diehard DC fans will probably overlook the film’s problems and enjoy it, while other will be notice all the negative points I made (and then some). Thus, it’s kind of spilt down the middle on the film’s overall likeability (at least in my opinion of the general public of fans / moviegoers).In the end, Justice League is a messy mixed bag that has hard time of what it wants to be. It has all the right ingredients, but isn’t executed properly and to its maximum effect; proving that this superhero film franchise still has much to learn in its attempts of finding its own identity and catching up to Marvel’s MCU. Let’s hope that this movie stands as a cautionary tale for DC comics when shaping future DCEU installments. I think I enjoyed Batman V Superman more than JL as well! I completely agree with you. Despite the fact that Batman v Superman was busy in trying serve too many master, it was still enjoyable (I actually liked more than most of the general public of moviegoers did). Justice League was just too messy and was kind of “meh” to me, which is kind of a disappointing for such a milestone feature film in the DCEU. I always prefer DC series more than DC movies. I feel Marvel is just better at making movies. Haha…very true. Even the Marvel comics are better than the Marvel movies. But I get what you are saying. Marvel has indeed found a formula in crafting its MCU feature films. DC still hasn’t yet, which is what I think the problem is.